Yesterday's big iPhone 7 announcement left a lot of people with mixed feelings -- some headphone jack-related, some jet black-related. 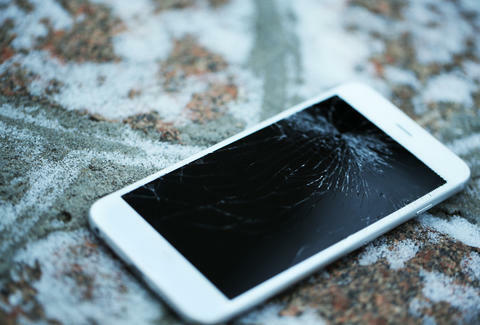 Regardless of how you feel about the new iPhone, though, Apple just gave existing iPhone users something to be excited about: replacing a cracked or broken iPhone screen just got a whoooole lot cheaper. Yes, in addition to making its latest phone toilet-resistant, Apple's rolling back the charge for replacement screens from the original $99 price to $29. Huge savings, right? Right... provided you signed up for AppleCare+ beforehand, a service that costs $99 right off the bat -- or $129 for newer phones like the iPhone 6s, 6s Plus, 7, and 7 Plus. If that sounds like a hefty investment, that's because it is, but it's worth noting that AppleCare+ covers up to two incidents of screen damage at that $29 price point, so you're doubly protected from drops and falls. After that, though, you're on your own. Still, all of this is cheaper than the $149 it'd cost to replace your screen without warranty -- unless you decide to circumvent this whole process and go the third-party repair route. If that's the case, disregard all this new information and go about your business as usual. Gianni Jaccoma is an editor for Thrillist, and has yet to break a phone screen. Follow him on Twitter @gjaccoma.